Traffic is the lifeblood of any online business. The number of potential customers that see your products and services is directly tied to the number of visitors that land on your website. Similarly, when more people see what you have to offer, the more sales you will enjoy. Therefore, driving more traffic to your website is vital to the success of your business. There are billions of websites on the internet – all of them struggling to attract the attention of online users. Fortunately, you don’t need every single person to be a customer; instead, your marketing efforts should be focused on the important targets which matter most to your business. This makes the job of attracting and driving relevant traffic to your website very easy. To do so, your website must contain the type of content that appeals to your target audience; combined with the right SEO techniques, you’ll experience a significant increase in the number of promising visitors who land on your website. ‘Content is King’ has been the cornerstone of content marketing since the internet’s inception. If you’re truly serious about driving traffic to your website, you’ll first need to make sure that your content reflects what your target audience needs. Website traffic comes from a variety of sources, but it can be temporary and ineffective if there’s nothing on your site to strike a chord in the minds of your visitors. This is why you should pay attention to copywriting. A copywriter will craft content for your website using the proper writing tone and style that will engage and convert visitors. You may not know it, but website engagement is effective in encouraging return visits and attracting new visitors. On-page SEO is one of the most fundamental elements of a successful website. The purpose of on-page SEO is to ensure your site contains content that is relevant to people seeking your products and services. This means implementing the right keywords, writing captivating headlines, using convincing meta-descriptions and generally writing great content. While on-page SEO may come naturally to most people, it could be prudent to engage the services of a web content writer in order to stay ahead of the competition. As we move further in 2018, it’s become imperative that website owners go beyond simply ticking the box of web content, but also endeavour to get their SEO game right. Email marketing remains a very effective channel for driving traffic to websites. However, the dynamics have changed since the days of promotional email blasts. Therefore, to drive traffic to your website via an email marketing system, your emails need to rise above the inbox noise and capture the attention of your intended target(s). In fact, according to a recent study, email marketing which focuses on engendering relationships (e.g. ‘welcome emails’) rather than on advertisements is said to account for 300% more revenue. This means that instead of disturbing your readers with constant sales pitches, everything about your emails – from the language of your missive to the tone, style and grammar – should be geared towards creating an engaging experience for the reader. Implemented correctly, emails can also serve as a public relations tool, keeping both current and potential customers informed as to the advantage of your brand. Having said that, emails are a personal form of communication, so be careful not to overdo it. Where possible, work with a digital copywriter to enjoy the benefits of skill and professionalism. One of the most common mistakes people make about SEO today is that guest posting no longer works. This is an incorrect assumption however, as guest posting is still a very effective SEO technique for driving promising traffic to your website. It only becomes ineffective when you fail to tailor your guest posts to suit both your brand and message. The key is to post appropriate content on websites that’s relevant to your target audience, which in turn will drive the highest number of traffic to your site. Many people begin to experience a decline in the success rate of their guest posting because they run out of things to write. If you encounter this during your guest posting career, working with a content writer is key to getting back on track. Posting across a number of blogs regularly has the capacity to significantly drive high target traffic to your website. Social media is a powerful tool that can double your amount of website traffic. Not only can you tap into the network of your existing fans, you can also use social media to meet lots of new people, who need the products and services that you provide. Social media has become such an integral part of content marketing that you’ll be hard pressed to find a business not using social media to reach prospects and subsequently drive traffic. Social media has also provided an easy way via which to spread the message of your brand to the people that matter. The system of hash-tagging has quickly become one of the most commonly used social media features. When you add the relevant hashtag to your social media updates, you can extend the reach of your message beyond those in your network and also be discovered by people searching for products and services similar to yours, using the same hashtag. Hashtags help you target your ideal customers amongst the millions of social media users and successfully drive them to your website. People come to your website for different reasons; therefore, it makes sense to provide personalised content for your visitors, based on why they came to your site initially. This is known as ‘traffic segmentation’. 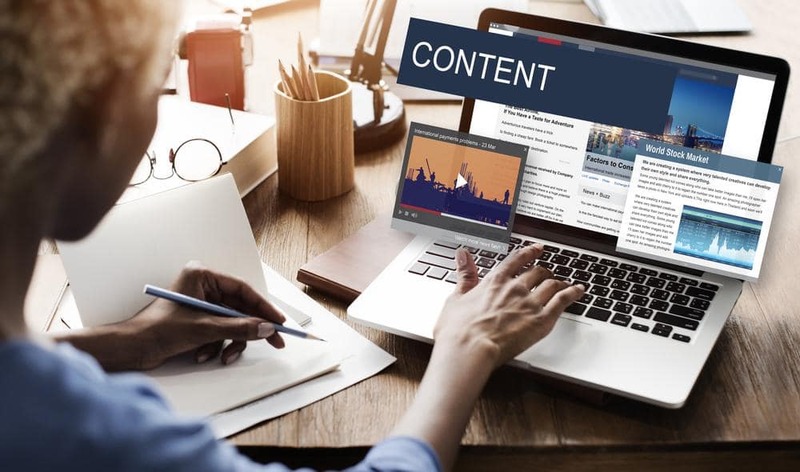 Providing the right content for different set of visitors will increase the level of your website engagement, improve user experience and help you gain more customers. For example, you can design specific landing pages for specific sets of visitors. Those who are arriving for the first time can be shown a welcome notice, a discount offer or a subscription form. Returning visitors can be offered free trials or loyalty bonuses. If a visitor arrives at your website from a paid marketing campaign (in relation to a particular product), they should be presented with the relevant product page, as well as any other offers associated with said product. Landing pages are an essential source of traffic to your website. They also contain details that your visitors need to move forward in the conversion funnel. Even though most searches involve short tail keywords, it’s not very easy to rank for them on search engines. On the other hand, using long tail keywords makes it easy to rank high, and even hit the first page of Google SERP for searches specific to your products and services. Don’t forget that the higher your page ranking, the more traffic your website will receive. Plus, in this age of voice and semantic searches, people are increasingly using specific phrases to search for content online. Targeting for long tail keywords will place your content squarely in front of people using specific search phrases to look for what they need online. Hopefully, you’ll now see how the right combination of content and search strategies can boost traffic to your website. Whether you’re modifying an existing website or looking to get new web content, make sure to write convey your message in a manner that would immediately resonate with your intended target audience. This will help you create a better experience for your users. The more agreeable user experience you create, the more web traffic you’ll attract.